True story: in 1899, Mark Twain and Nikola Tesla decided to end war forever. With Twain's connections and Tesla's inventions, they went into business selling world peace. So, what happened? 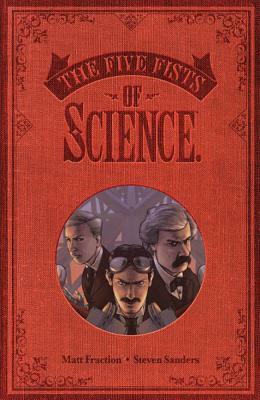 Only now can the tale be told -- in which Twain and Tesla collided with Edison and Morgan, an evil science cabal merging the Black Arts and the Industrial Age. Turn of the century New York City sets the stage for a titanic battle over the very fate of mankind. Now back in print, this new edition of the steampunk classic features new cover art by artists Steven Sanders.